Carbon capture and storage is already big business, but perhaps not for the reasons that many would hope. The market for improving oil extraction by pumping carbon dioxide into hydrocarbon reservoirs (known as enhanced oil recovery or EOR) was around $54.2bn (£34.4bn) in 2011 and growing rapidly, according to a report from SBI Energy. This is the great irony of current CCS research: that a technology heralded as a means of saving the planet from climate change caused by burning fossil fuels is actually helping oil companies to get more of the stuff out of the ground. And despite what progress has been made – the world’s largest commercial facility and first to integrate fully with a coal-fired power plant is due to open in Canada next year – CCS has yet to gain the speed and success required to prove that it really can cut CO2 emissions at the levels needed and in a cost-effective way. 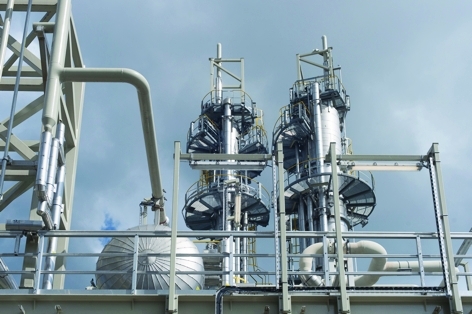 Europe, in particular, has struggled to get commercial CCS off the ground and suffered the cancellation of several projects, while the UK had to relaunch its £1bn CCS competition after the original scheme collapsed. 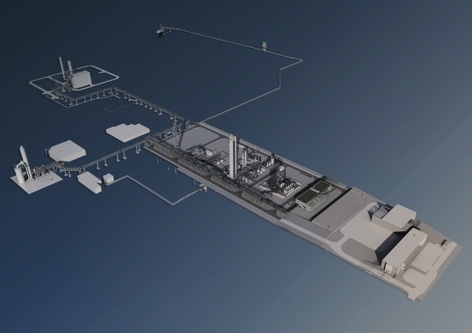 So the Norwegian government has decided to take more active steps and since May 2012 has run the world’s largest industrial-scale CCS test facility, the CO2 Technology Centre Mongstad (TCM). And Norway’s reason for putting up 75 per cent of the centre’s approximately £670m capital costs was not even to decarbonise its own existing electricity supply. ‘Carbon-based power generation is a rare thing in Norway: 97 per cent of all electricity in Norway is generated by hydropower,’ said Tore Amundsen. Since his days on TCM’s initial steering committee back in 2008, Amundsen has been one of the driving forces behind the project, becoming its first managing director and now its chairman, as well as CEO of its state-owned parent firm Gassnova. The motivation for funding the centre, he said, came not from worries about Norway’s own emissions but rather its position in the world economy. ‘First and foremost because of the climate issue itself, for which Norway feels obliged to contribute considerably to help solving, being a fairly well off country. But another perhaps more important reason for the government is the fact that Norway has huge exports of oil and gas and this was seen as an important mission to ensure that there will be a viable oil and gas market rather in the future.’ In short, Norway wanted to make its largest export industry sustainable both environmentally and economically. But instead of simply making money available to companies wanting to prove their technology – as the UK is doing – the Norwegian government has paid for a 63-hectare facility dedicated to testing CCS equipment and processes at an industrial level, committing to funding research in a way that much of the private sector hasn’t. Even TCM’s main industrial partner, Statoil, is 67 per cent state-owned and became involved in the project to be able to meet government requirements for fitting CCS technology to any new fossil fuel-fired power plants it wants to build. ‘Because the government’s putting 75 per cent of all the money they felt they needed to be involved in it,’ said Amundsen. ‘And also to gain experience for ourselves and in that way to make sure that the knowledge we accumulate at the test facility can be made available to the rest of the world, not only to a few private companies.’ Very altruistic-sounding motives, although undoubtedly Norway would like to be able to profit from exporting CCS technology, just as the UK would. Aside from established solvents, TCM has examined up to 40 other chemicals and selected around 12 to test at a smaller facility it hopes to build as part of its next phase, helping to mature the technologies before they are scaled up for trials at the main centre. Plus there are solid solvent CCS methods and membrane-based separation technologies TCM is examining. 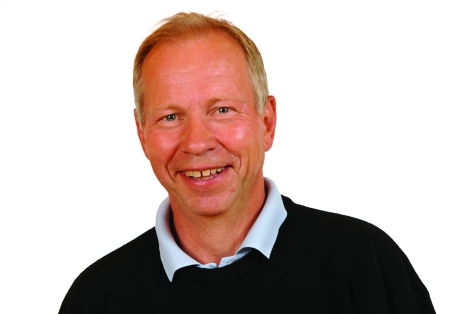 ‘But the reason why we are focused in the first instance on the solvent-based technologies is that there are many of them actually being worked on today and they have this commonality that they can all be tested in one and the same test facility,’ said Amundsen. Amundsen admits he has encountered plenty of differences in his move to what is effectively the public sector. ‘But then again TCM was thought of as a joint venture between government and industry so there’s a mixture of both.’ One thing that was been easier was securing funding, he said. ‘The technology centre has unanimous backing from Parliament and from politicians in Norway. I think they all agree that the technology centre is a very good idea.’ But, he added, ‘there’s much more disagreement on whether the government should fund the subsequent large capture plants to capture all of the CO2 from the environment’.